He received his Doctor of Optometry from Southern College of Optometry in Memphis. 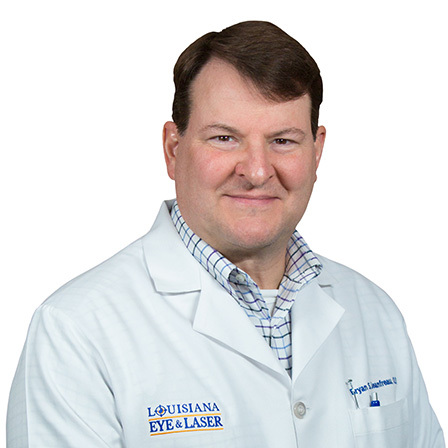 Dr. Jeanfreau was in private practice in Natchez, Mississippi for ten years before joining Louisiana Eye & Laser. In addition to private practice, Dr. Jeanfreau was a Childsight Program Optometrist for Helen Keller International. Dr. Jeanfreau has extensive experience in management of primary eye care, and fittings for glasses and contact lenses. Also, including the diagnosis, and treatment of glaucoma, anterior, and posterior segment disease, emergency eye care, pre and post operative care of cataracts, LASIK and PRK co-management.